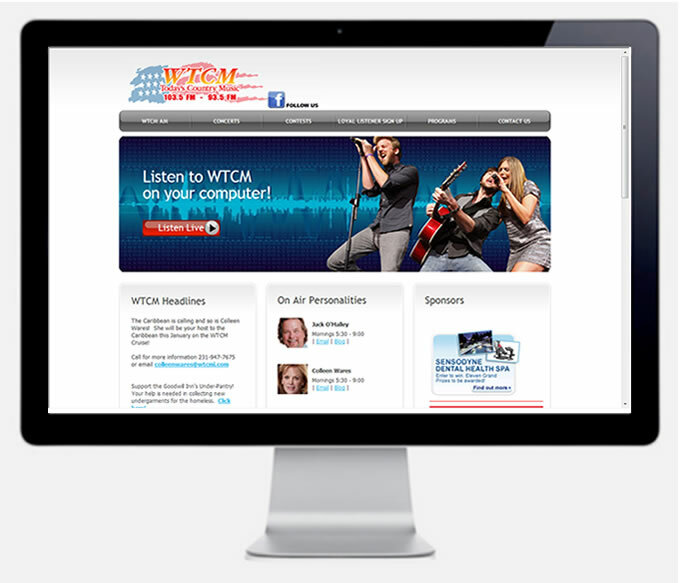 WTCM-FM consists of two radio stations: WTCM-FM 103.5 in Traverse City Michigan and simulcast WBCM 93.5 in Boyne City, Michigan. The two stations carry a country music format and are owned by Midwestern Broadcasting. Today, WTCM-FM/WBCM is on or near the top of the Arbitron ratings. WTCM-FM's 100.000 watt signal can be heard south toward Cadillac, MI and Big Rapids, MI at times. During the summer its signal wafts southeast into southern lower Michigan, (heard in the Tri-Cities mixing with WMUZ-FM in Detroit). This is a good 150 miles from its originating city, Traverse City.